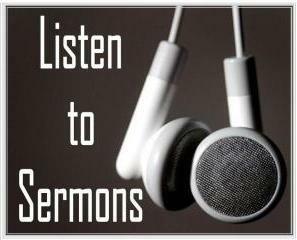 Click on the sermon links below to listen on-line. Sunday, August 26, 2018: Christ to Continue to Reveal Truth Through the Spirit. Sunday, August 12, 2018: Do People in Heaven Know What's Happening on Earth? Archived Sermons are available upon request. Please send Pastor Andy Powell an e-mail with your sermon request. Sunday, May 20, 2018: Is America A Christian Nation? Sunday, April 29, 2018: Do You Need Revival? Sunday, March 18, 2018: What's Your Problem with the Resurrection? Sunday, December 10, 2017: Mark Schroeder: Will You Accept Your Free Christmas Gift? Sunday, December 3, 2017: Charlie Wagoner: What Does Christmas Truly Mean to You? Sunday, April 16, 2017: Easter Tetelestai ~ "It is Finished!" Sunday, February 28, 2016: Chuck Aiken ~ What Will You Do With Your Time? Sunday, August 23, 2015: Lord, Do It Again! Sunday, July 5, 2015: Who Are Southern Baptists? Sunday, November 30, 2014: Why Are We Holy?